It’s been a little while so time to catch up. With the summer comes the decent weather we hope for when doing a shoot. 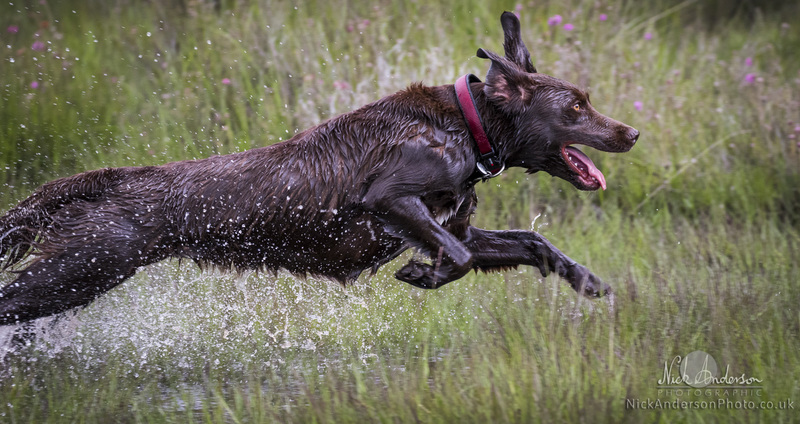 I can successfully cope with most inclement conditions but if my clients have energetic dogs and want action photos then I need enough quality light to allow me to shoot with a high shutter speed. Sometimes bright sunshine can be as difficult as very dull weather as it creates lots of contrast and a high dynamic range but for Jo’s shoot (above) it was perfect. 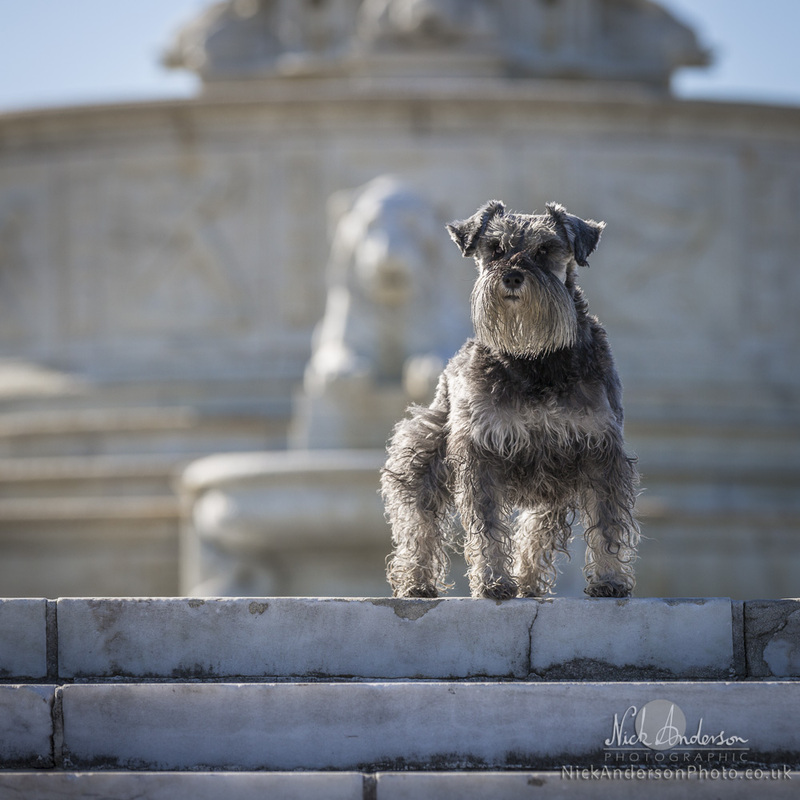 In addition to Jo’s dogs Twiglet and Roo, I had the opportunity to do a quick shoot in Detroit with Liz’s lovely little Schnauser, Hannah. Liz drove all the way from Toronto to meet up for our short session! All primped up for the big moment, the puddles proved a great attraction so fluffy went to curley… what’s a girl to do? Back in the UK I was lucky enough to get another lovely rescue dog to photograph. This was Jon’s sweet Vizsla who showed both her cuddly and energetic side. I’ve never met a dog so keen to pluck pine cones from the fir trees that frequented our walk! 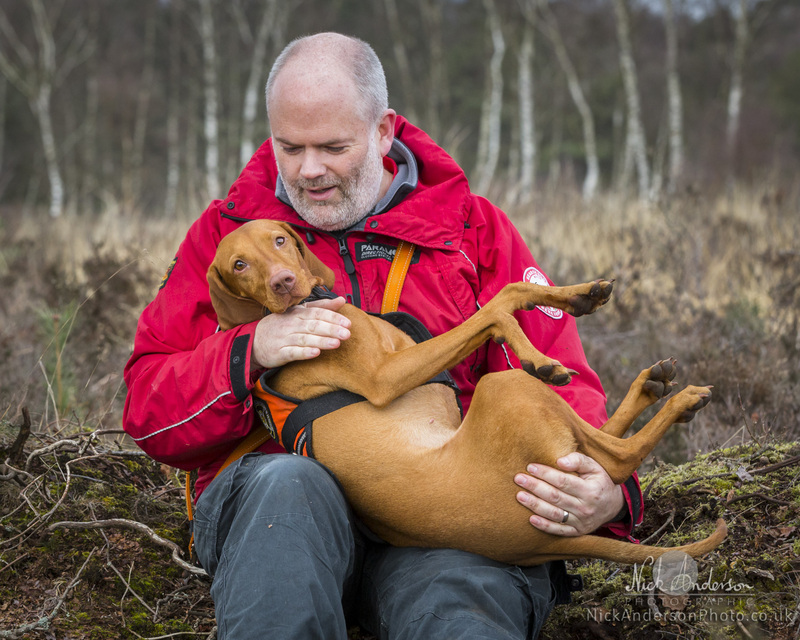 Jon works for Berkshire Search and Rescue and Ilay was a fully qualified search dog. Ilay was also well trained in the mystical arts of self levitation! 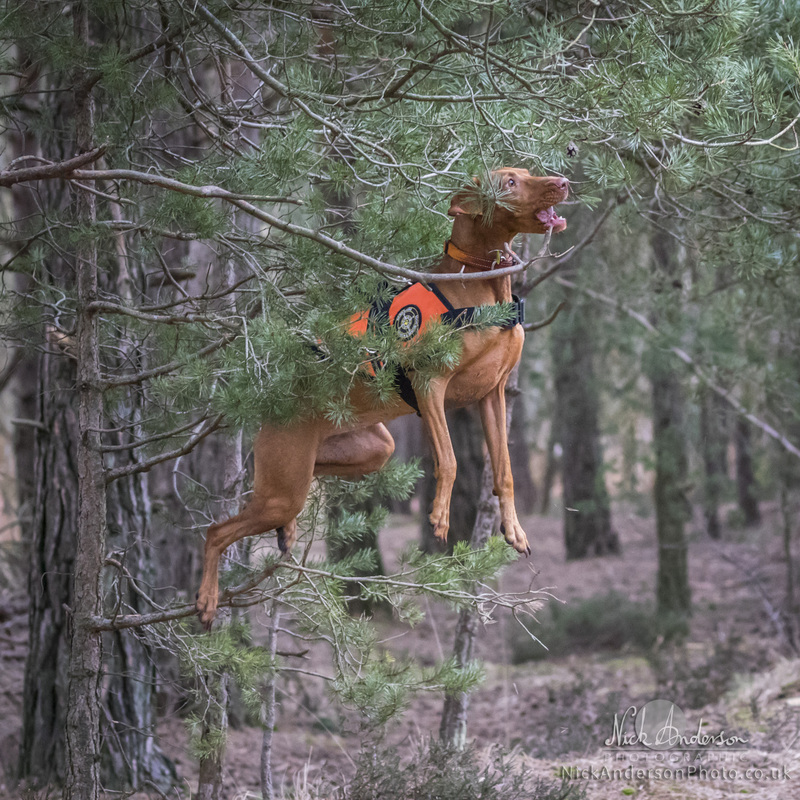 I still am amazed at the athleticism of the Vizsla breed! 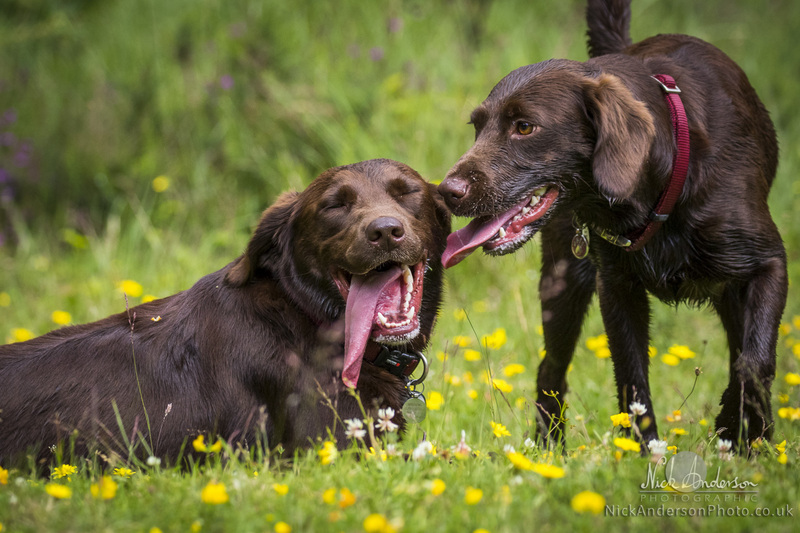 Finally, I’ll leave you back where we started, with a shot of the lovely Twiglet and Roo who are also Search and Rescue dogs. A fine pair they made as they are obviously devoted to each other.